BeerViking: Low-alcohol is the future – but for whom? Do you drink low or non-alcoholic beers? Why – or more importantly, why not? The beer and pub establishment has largely failed to notice or build on a growing interest in low and non-alcoholic drinks. 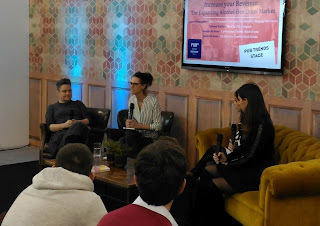 That’s according to producers and promoters speaking in a panel discussion (pictured below) at the recent PubShowUK in London – and when I think about what I‘ve seen in the industry, I think they could well be right. 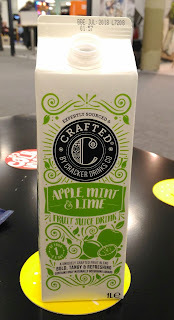 Initially I was cautious – like other bloggers who’ve written on the topic, I’ve seen low & non-alcoholic (LNA) beers* come and go over the years. And even after I tried a few of the new breed and found them pretty good, I wasn’t sure I would actually go on to buy them regularly. What I’m being reminded though is that I and those other writers are not the target market. We more typically seek out new and flavoursome beers – which often means high ABV to carry the flavour, with LNA as an occasional curiosity. But the wider market is rather different, with retail analyst company Nielsen last year reporting that annual sales were up 17% by volume, which it said was the highest growth in five years. It helps that there’s now a much wider range of LNA beers available – and the NA ones in particular are miles ahead of the stuff we were offered 10 or 20 years ago, such as Kaliber or Swan Light. Most of this is down to greatly improved brewing techniques, including new yeasts that produce fermented flavours but very little alcohol – most modern craft NA beer uses these, rather than de-alcoholisation. It means you can even get acceptable NA stouts and American IPAs. And that’s before we take into account other LNA drinks that a pub or bar might serve, such as ‘mocktails’, craft sodas and even specialist teas. 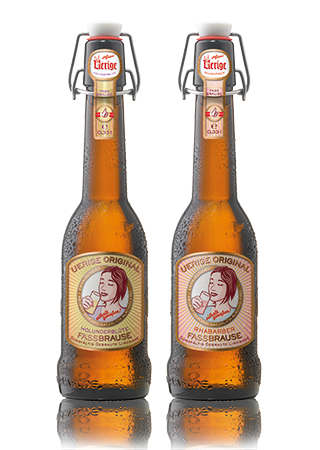 I’ve certainly seen an upsurge in craft sodas in Germany – it sometimes seems as if every beer brewery now also markets a non-alcoholic Fassbrause**. These “brewer’s sodas” (right) are sometimes shandy (radler) made with NA beer, but most often they’re just flavoured sodas – a few are even hop-flavoured. As an aside, they’re usually marketed with a heavy dose of history and tradition, yet they are very much a modern trend. And being packaged like a beer, with a brewery label on, they’re clearly acceptable to many beer drinkers. Complicating all of this in the UK, though, is the soft drinks levy, or ‘sugar tax’, which takes effect in two months time. This is going to add to the cost of anything with added sugar – and it includes drinks with up to 1.2% alcohol. That’ll exempt packaged 2% shandies, say, and anything with no sugar added, such as drinks based on pure fruit juice, but it will cover drinks mixed at the bar, whether it’s a ‘lager-top’ or a St Clements. According to the trade press, suppliers are already responding by reducing the sugar content of their sodas, but it’s still an issue. So, back to the LNA panel debate at Pub18. They were saying that what the market really needs – and what’s already appearing, but needs more support from the pub and bar trade – is a new breed of grown-up soft drinks. Whether that’s non-alcoholic (or yes, low alcohol) beers, fruit juice mixes, mocktails or flavoured tonic waters is up to you. When the presenter, Laura Willoughby of ‘mindful drinking’ (ie. LNA) promoter Club Soda, asked for questions from the floor, I waited to see if any of the assembled licensees, barstaff and other trade figures would ask about pricing. No one did, so I asked it: how do you justify charging as much for LNA as for a fully-taxed alcoholic drink? 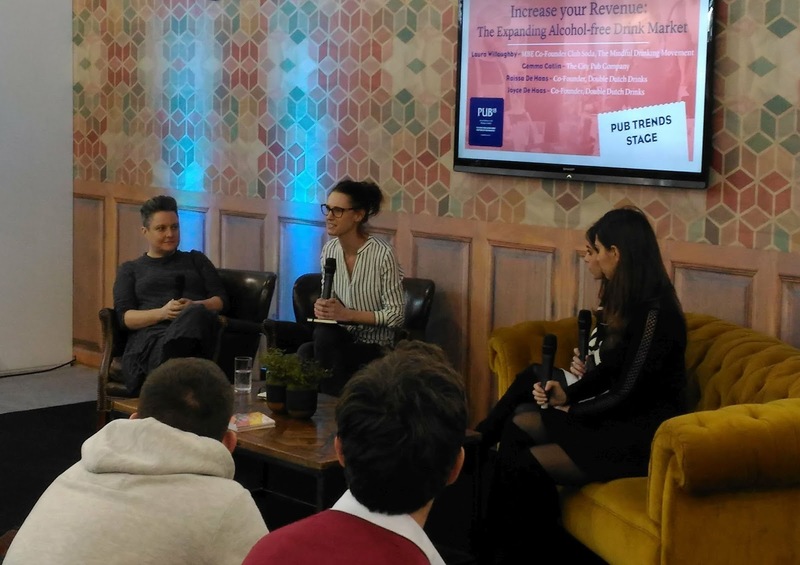 With the benefit of hindsight, the answers from Laura and other panellists – who included Gemma Catlin from The City Pub Company and twin sisters Joyce and Raissa de Haas, whose company Double Dutch Drinks does the afore-mentioned flavoured tonics – were predictable. They’re ‘premium products’ (and craft beer isn’t? ), they’re produced in small batches which puts up the production cost (must be getting less true as volumes rise, eg. with LNA beers), they require the same amount of work from barstaff, they’re lifestyle choices, and so on. All true, of course, but I suspect they omitted the biggest one, which is “Because we can.” By which I mean, because they’re targeting a different, new and fashion-conscious customer base: the Generation Zs and Millennials who have money to spend and want entertainment, but are drinking less alcohol, or so we are told. Laura came closest to it when she pointed out that all if a bar can offer is a sticky-sweet lemonade or cola, then adults like her will choose water – and that means zero revenue to the bar. On that basis, if 'soft drinks for grown-ups' get people back into pubs and bars, and that helps keep those open for the rest of us, then seriously, I am not complaining! So, back to the original question: do you drink low or non-alcoholic beers, and why – or why not? *Of course, what counts as low-alcohol varies from place to place. 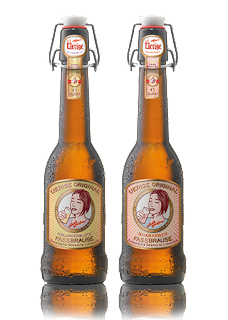 For example in Germany, where the norm is 5%, light (Leicht) beers are typically 3% or 3.5%, whereas in the UK the norm is more like 4%, and ‘lower’ for tax purposes means below 2.8%. **Many already do at least one NA beer, either one that meets the legal definition of under 0.5%, or increasingly one that is actually 0.0% alcohol.